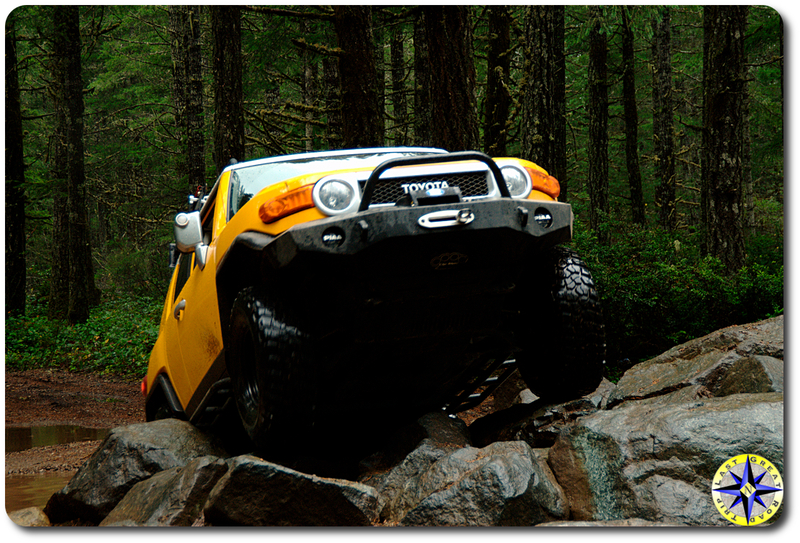 Seems like this year which is probably its last, Toyota’s FJ Cruiser has received more press than ever before. Take for example “FJ Cruiser does its off-road namesake proud, Toyota’s rock-crawling mud eater is the real deal in an era of phonies” on the Edmonton Journal site. Like most of the reviews, it talks about the more than capable off-road qualities of the Toyota FJ Cruiser, ranks it at the top above Jeep, Hummer or Land Rover (some combination of price, quality, and capability), and informs you that the seats are little uncomfortable (I don’t get that one), the nobs are big (I like Fisher Price sized toys) and of course the now legendary blind spots. But they also let you know that all great rigs of the past have had their quarks. With the phasing out of the FJ Cruiser at the end of 2014 there remains hundreds of thousands out there and like their older brothers, these will be handed down, sold, traded and reincarnated by thousands more new off-road enthusiast for decades to come. To bad I couldn’t have found a line on it in Vegas?